Home / News / Politics / DOJ summons Maria Ressa to court after tax-evading an estimated Php 133.84 million! 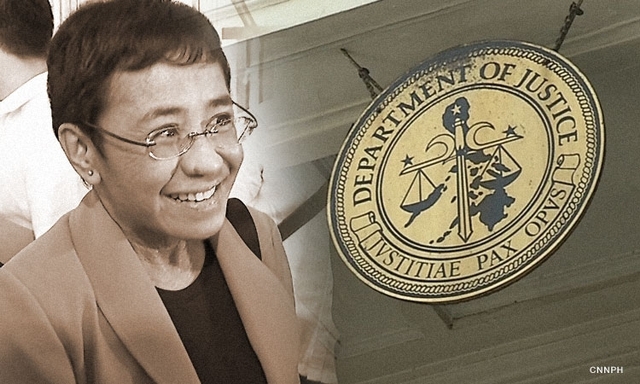 DOJ summons Maria Ressa to court after tax-evading an estimated Php 133.84 million! Online news network Rappler has been under a lot of heat after endless public efforts to derail President Rodrigo Roa Duterte. Yet their many lacking violations of the law and lacking in such knowledge has lead to their downfall. In one of these cases, the Security and Exchange Commission revoked Rappler right as a corporation and news media due to the alleged violation of the constitutional restriction on foreign ownership of media companies. Another case would be the Bureau of Internal Revenue (BIR) tax evasion complaint against Rappler, with this the Department of Justice (DOJ) summons Rappler President Maria Ressa and Treasurer James Bitanga to stand against the BIR’s allegation. But apparently Rappler Holdings Corporation, in 2015 "willful attempt to evade or defeat tax and for deliberate failure to supply correct and accurate information in its annual income tax return (ITR) and value-added tax (VAT) returns". The allegation expounds further on the fact that Rappler did not pay both income tax and VAT after the 2015 sale of Philippine Depositary Receipts (PDR) to two foreign judicial entities. “The purchase of shares and the subsequent issuance of the PDRs for profit that transmitted economic rights (e.g. financial returns or cash distributions) derived from the equity of Rappler Inc. to the PDR holders is proof that Rappler Holdings is engaged in purchase of securities and resale thereof. As a consequence of its acts and omissions, the aggregate tax liability of Rappler Holdings amounted to P133,841,305.75." When asked about her side on this, Ressa stated that this was nothing but an act of intimidation and harassment, that the government is trying to silence them without regard of the wasted energy and resources. She then added that Rappler has been paying taxes “accurately, promptly and diligently”.